UFC 236 featured two interim championship bouts on April 14 (AEDT) at the State Farm Arena in Atlanta. 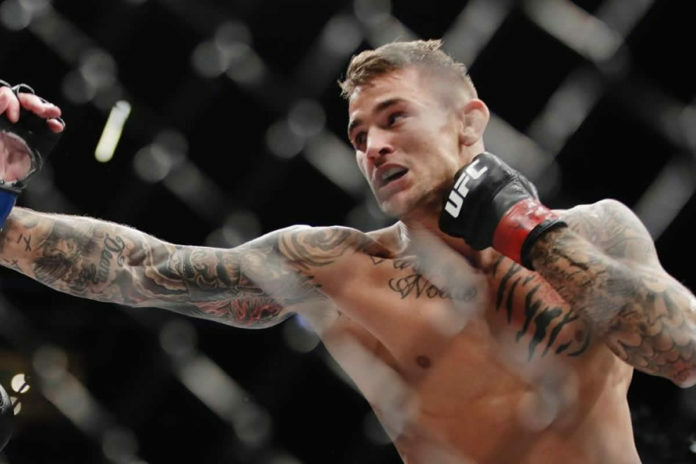 MMA event was headlined by the rematch between Max Holloway and Dustin Poirier squaring off at lightweight, following a middleweight battle between Kelvin Gastelum and Israel Adesanya, which served as the co-main event. The scheduled for five rounds bout between Holloway and Poirier went the distance producing a spectacular MMA action. Poirier came out victorious taking a unanimous decision as well as the second win against the current UFC Featherweight champion, who he had previously defeated in February 2012. “Diamond” Poirier is expected to face the reigning champion in the lightweight division Khabib Nurmagomedov at the future event. Gastelum and Adesanya as well produced fireworks. The five-round bout went the distance with the latter taking the win also by a unanimous decision. “The Last Stylebender” is scheduled to take on the reigning UFC Middleweight champion Robert Whittaker. Also on the main card light heavyweight Khalil Rountree Jr. scored a unanimous decision against Eryk Anders, and welterweight Dwight Grant took a split decision against Alan Jouban. In addition, Nikita Krylov submitted Ovince Saint Preux in the second round of their light heavyweight battle, which kicked off the main card. The complete fight results from UFC 236 can be found below.